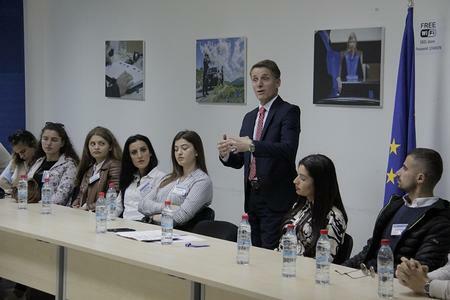 On 12 April, forty students and academic staff from the Haxhi Zeka University in Pejë/Peć visited the EULEX Headquarters. 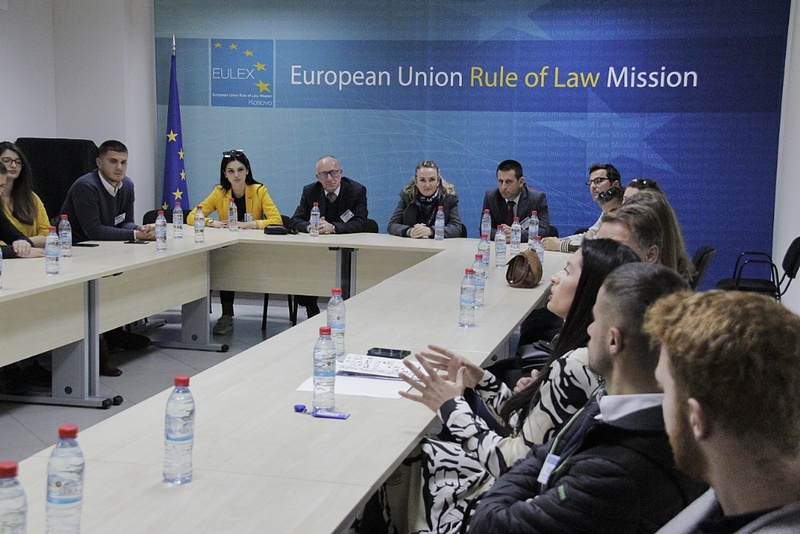 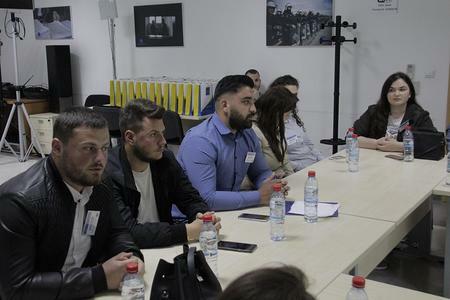 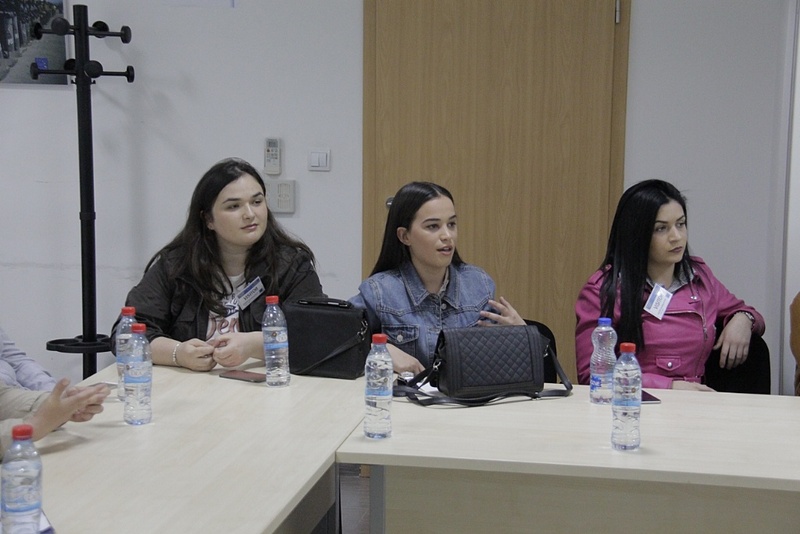 Participants were given a brief overview on the Mission’s current mandate and on its daily activities by Spokesperson Donika Berisha Rizaj and Political Officer Naim Hajdari. A lively and dynamic discussion followed the presentations, triggering numerous questions from the students. 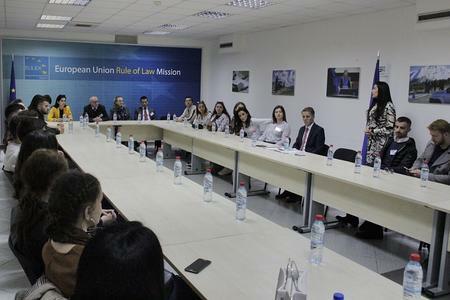 This visit complements outreach visits conducted by EULEX in the past at several university faculties across Kosovo.